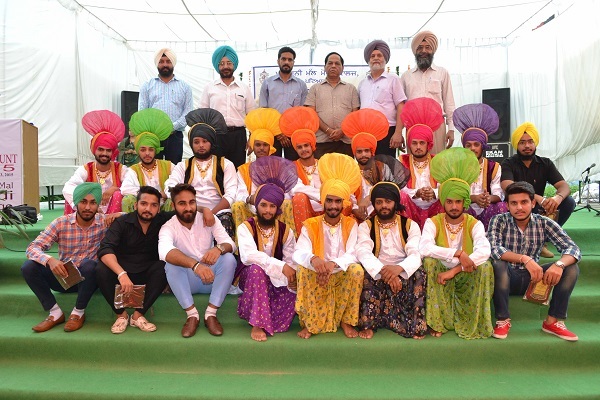 ‘Talent Hunt – 2015’ competition was organised at the local M M Modi College. While inaugurating the function Sh. 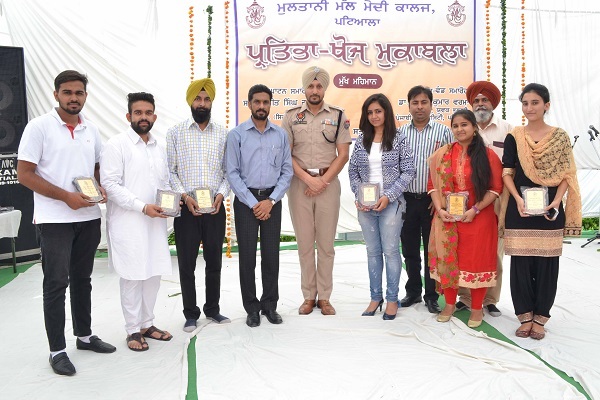 Daljit Singh Rana, S. P. (City), Patiala asked the young students in the age group of 17-25 years to focus on the defined objective under the able guidance of their teachers and work with commitment and dedication in the academic environment which institutions like M. M. Modi College provides. He was of the considered opinion that young boys and girls who are devoted to the learning will never fall victim to the social evils like drug addiction and dowry. Guest of Honour on this occasion the event Sh. 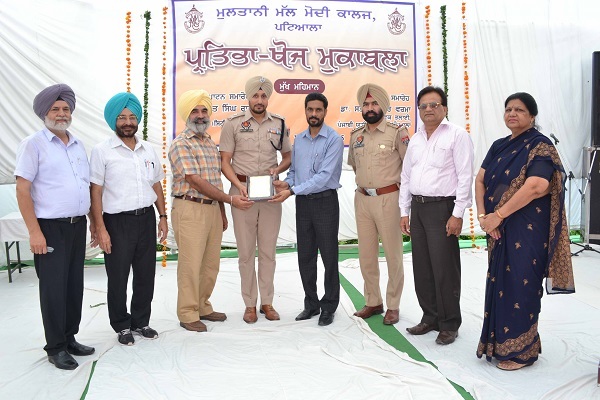 Hardeep Singh Badungar, Traffic Incharge of Patiala, appreciated the views expressed by the students in the Declamation Contest where they talked about worsening performance of the Indian Parliament as well as the ill effects of excessive indulgence of young boys and girls with social media. 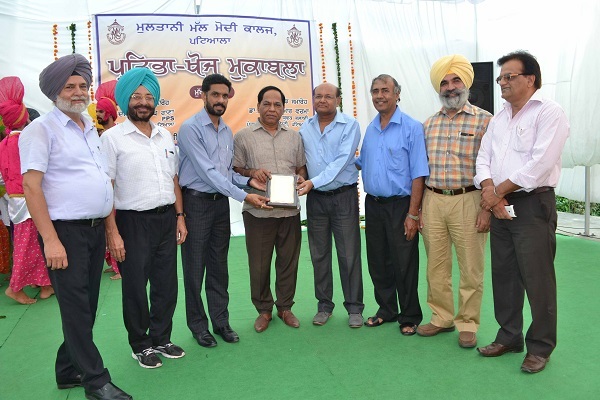 College Principal, Dr. Khushvinder Kumar, welcomed the chief guest and other dignitaries. He stressed upon the need of balancing passion for academic and co-academic activities for the development of a balanced personality. He further said that no challenge is formidable for those who are groomed with such personality traits. 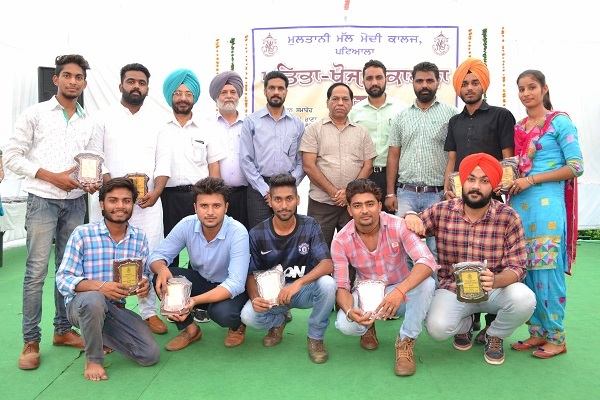 Dr. Satish Kumar Verma, Dean, Youth Welfare, Punjabi University, Patiala presided over the valedictory session of the event and gave away prizes to the winners. While recalling his old association with the college, through the library of the college, he stressed upon the need to develop close relationship with the books. He was deeply impressed with the performance of the participants. He further said that the seeds of the talent are embedded in us, but these seeds will flower only when hard work coupled with commitment is done. The Talent Hunt started with the reciting of Saraswati Vandana and Shabad Gayan. 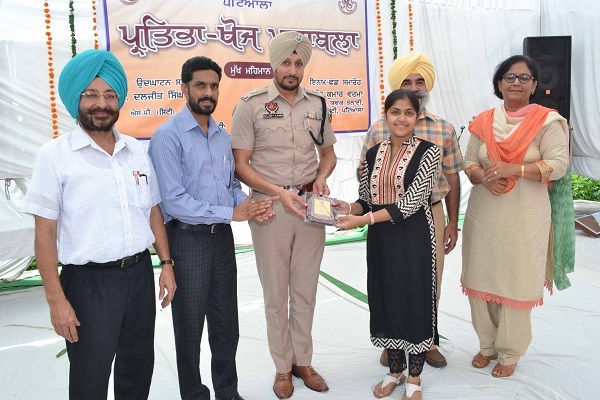 Competitions in Elocution, Folk Song, Ghazal, Poetry Recitation, Quiz, Fine Arts, Photography were held. 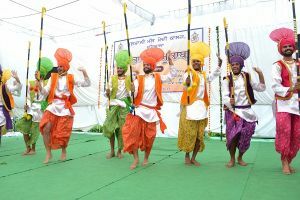 Very captivating Skit, Western Solo Song, Indian Group Song, Gidha and Bhangra were presented during the function. Ishnoor Ghuman and Jaya Kaushik bagged first position in Elocution, Bawanpreet was first in Light Vocal Music while Gaurav Singla in Quiz, Aarzoo in Poetry Recitation, Gautam Bagga in Folk Song, Palak Jain in Western Solo Song, Gurpreet Kaur in Classical Dance, Komal Kapoor in Mehndi, Simran Kalra in Collage Making, Manpreet Kaur in Embroidery, Vivek and Kirti Verma in Cartoon Making, Ankita Garg in On the Spot Painting, Harpreet Singh in Clay Modelling, Tulika and Manjinder Kaur in Poster Making, Kuldeep Singh in Photography and Simranjeet Kaur in Rangoli got the first positions. 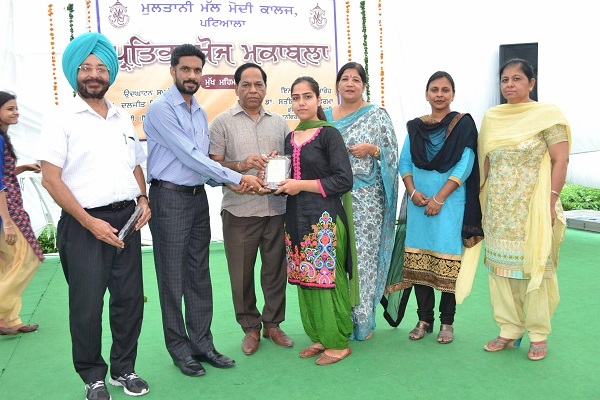 Prof. Nirmal Singh, Dr. Harcharan Singh and Ms. Poonam Dhiman were judges for Elocution. 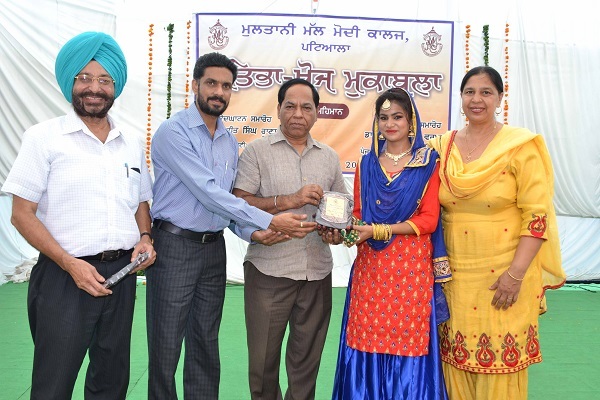 Prof. (Mrs.) Shailendra Sidhu, Dr. Rajeev Sharma, Dr. Manjit Kaur, Prof. Harmohan Sharma and Dr. Pawan Kumar were the judges for the Music Items. 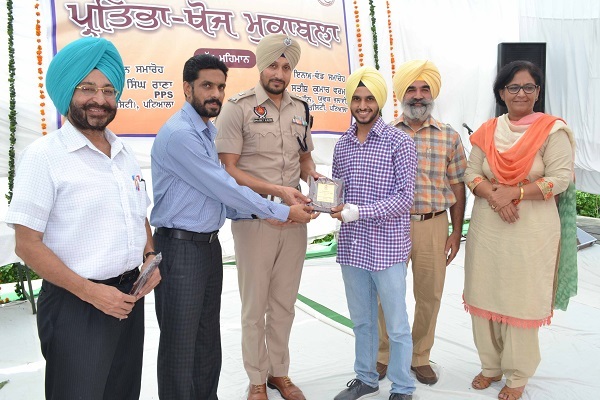 Prof. V. P. Sharma, Dr. Gurdeep Singh and Dr. Davinder Singh were judges for Poetry Recitation. Prof. Jasbir Kaur, Prof. Rohit Sachdeva and Prof. Veenu Jain were the judges for Fine Arts items. Prof. (Mrs.) Poonam Malhotra, Prof. Ajit Kumar and Prof. Ganesh Kumar Sethi were judges for the Quiz. The Chief Guest gave away prizes to the winners. 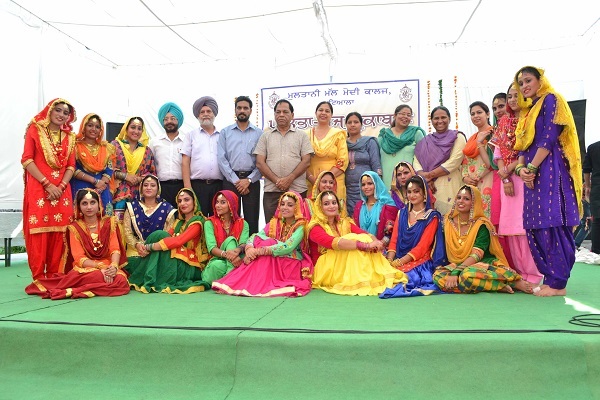 Prof. Balvir Singh, Dean Cultural Activities conducted the stage. Dr. Vinay Kumar Jain presented vote of thanks.